An innovative and simple invention, selfie stick is something we all want to have. 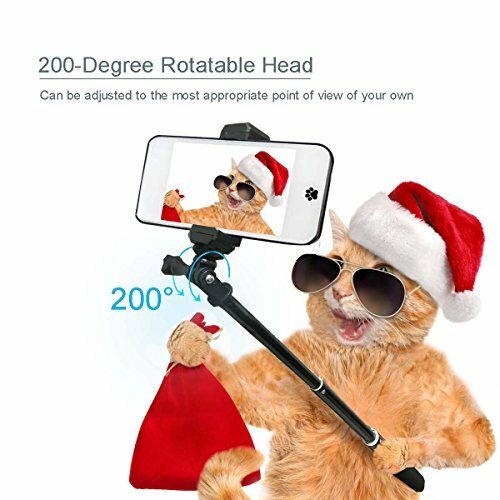 If you have an iPhone X you will surely make many incredible selfies thanks to the phone’s camera, but if you want to make them even better, you should get a selfie stick. Here in this article, we are going to share the list of top best selfie sticks for iPhone X. Days of struggling on holidays with your selfies are over. 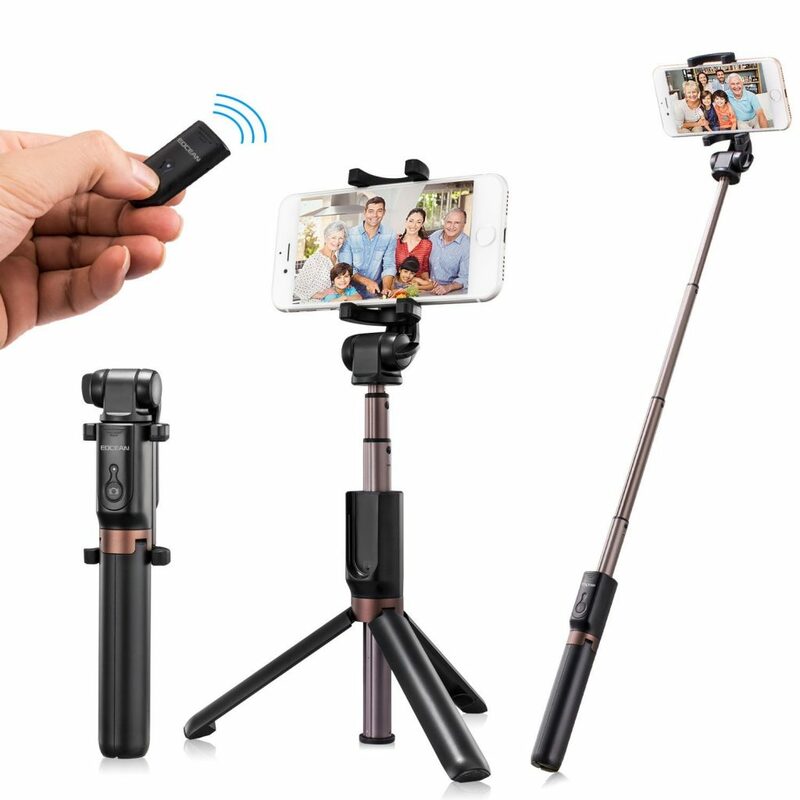 This selfie stick is a 3 in 1 selfie stick with a Bluetooth remote and tripod, it is portable and is also foldable. The Bluetooth Remote is 65 mAh rechargeable and detachable. This remote lets you take 50,000 photos consecutively after one full charge. 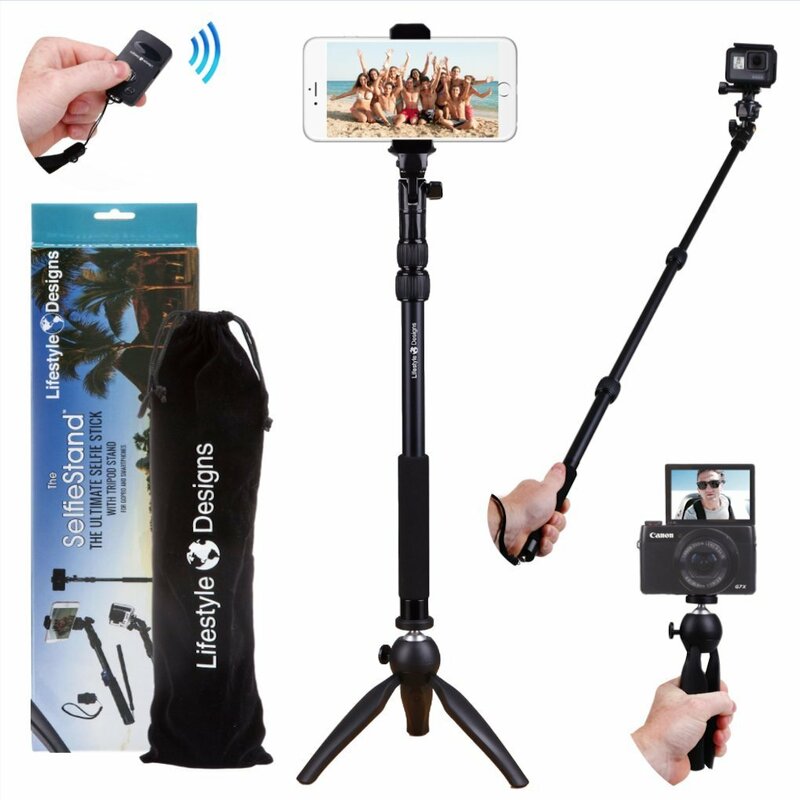 You can record group videos or take photos without any hassle due to the high utility tripod that comes along with it. The remote-controlled tripod can be operated from a distance of 33 ft. The tripod is anti-slip and foldable which makes it easier to carry when you are traveling. SpigenVelo selfie stick is compatible with not only your iPhone X but also with iPhone 8 and iPhone 7 too. 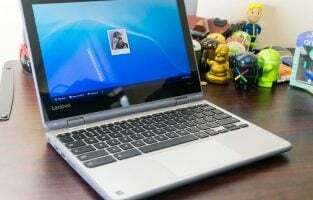 It is a compact and has an aluminum body which makes it lightweight. The stick is highly secure and extendable up to 4 stages. The selfie stick can be connected to your phone through the jack and you can take scores of selfies in one go. There is no hassle of charging, just connect your phone to your stick using the jack and take selfies instantaneously. 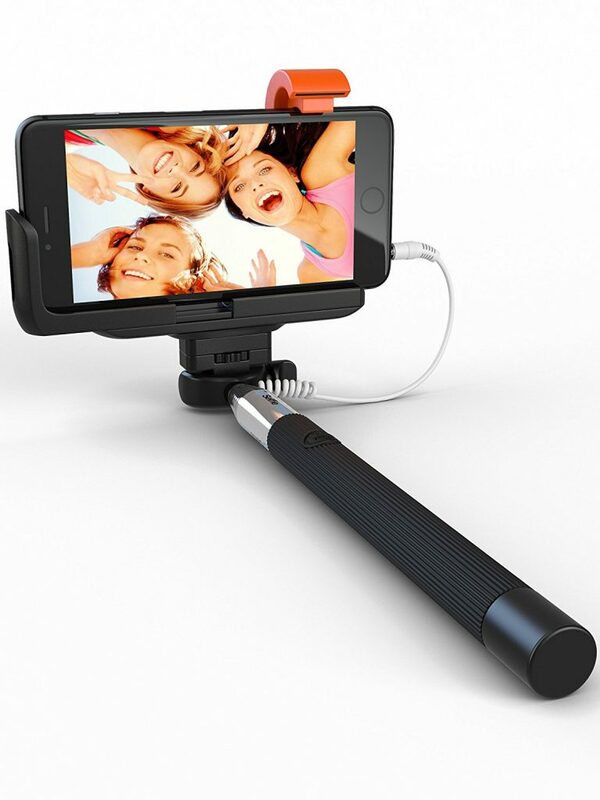 This selfie stick is one of the most popular selfie sticks available in the market. The user feedback and reviews suggest that it works best for all kinds of buyers. You can click photos from 30 ft away using the remote control. Apart from your iPhone X, this selfie stick is also compatible with Samsung phones and GoPro cameras. 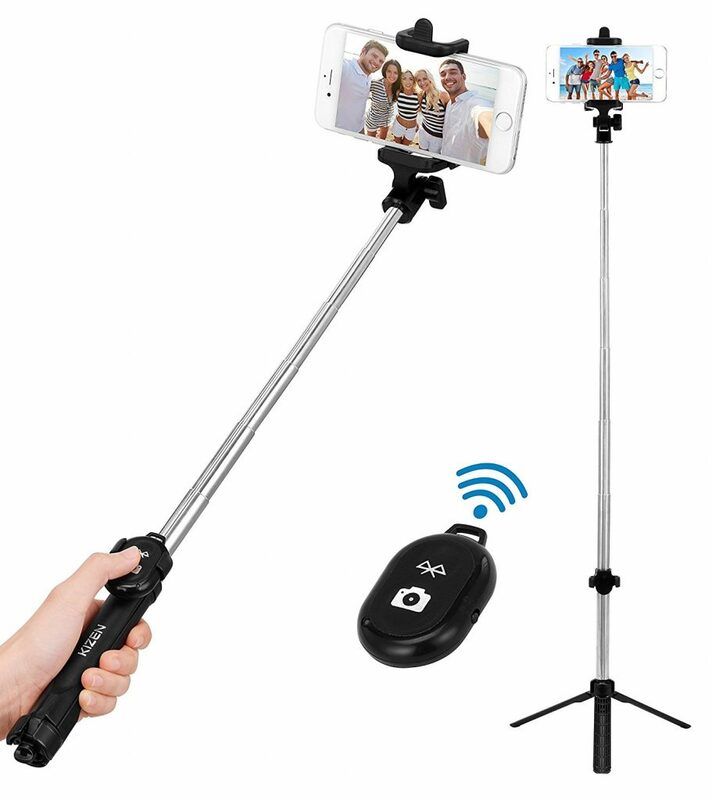 This selfie stick is optimized with Bluetooth technology and gives you lightning fast connections too. There are zero shutter lag and less battery consumption. It lets you record high-quality videos and works on all modes of the camera, including flash. It gets extended to 36 inches and covers a wide area. The stick is tested and approved to keep your phone safe. 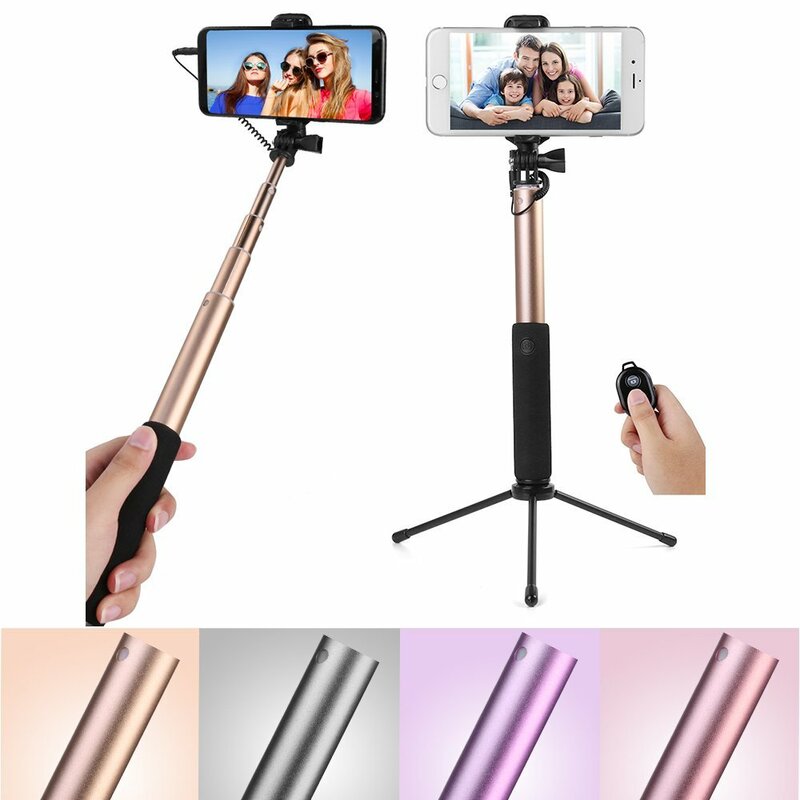 It is called a 5 in 1 selfie stick because it has built-in functions to operate on iPhones, Samsung mobile phones, most Android devices, digital compact cameras and all iPod Touch. The selfie stick has amazing functionalities and features. At the same time, it is lightweight and portable. 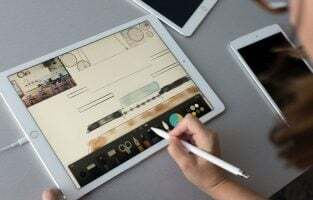 The length of the stick can be extended from 10 inches to 28.7 inches and gives you a wide angle to take the best photos of yourself and your friends. It has a compact size which can easily be tucked anywhere in your luggage which makes it a suitable selfie stick for travelers. It also gives you 360-degree rotation to capture the best of moments with just a click. 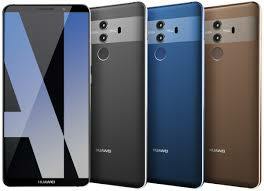 It also has inbuilt Bluetooth functionality. 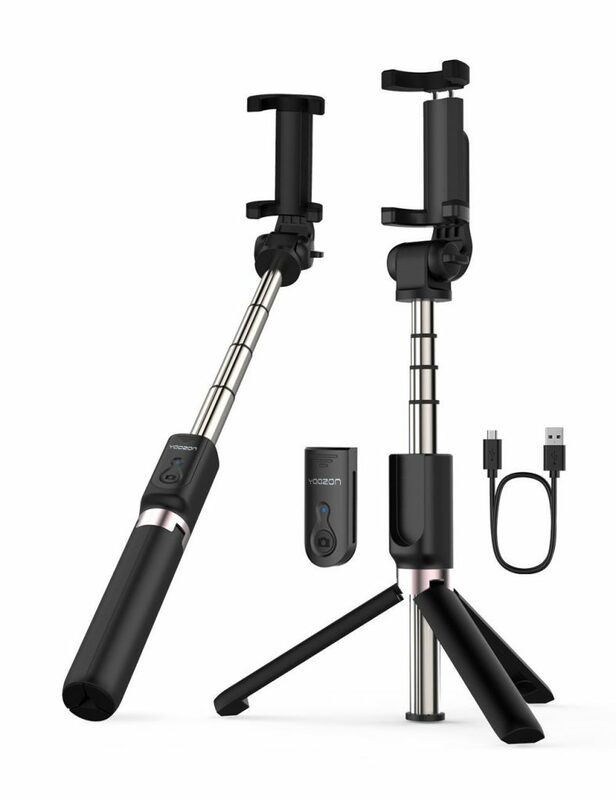 This 2 in 1 selfie stick tripod can let you take selfies and if you disconnect the controller, you can use the tripod to take photos of a group of people. The selfie stick is easy to carry because of its compact design. The stick can be extended from 7.8 inches to 26.7 inches so that you can get the perfect wide angles and best photos. The clamp holder where your iPhone is made to fit in is adjustable and keeps the phone secure. There is Bluetooth functionality included as well, where you can take photos using the tripod via Bluetooth remote from a distance of 32.8 feet. This stick is also used for a 2 in 1 purpose. It is made of aluminum alloy which makes it lightweight, a boon for travelers who like to travel light. The non-slip rubber pads at the bottom of the tripod stand are highly beneficial. Good quality photos and videos can be made using this tripod owing to its great stability. This is a multi-utility device which comes handy for any occasion and the best part is, it is also budget friendly. The highlight of this selfie stick is its extendibility. The stick can be extended from 9 to 33 inches. 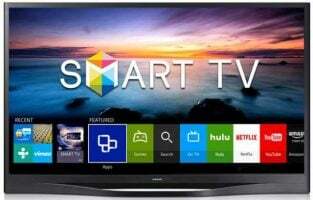 33 inches is sure to give you the widest of angles and best photos of a group or a landscape alike. This device also comes with a monopod tripod so that you can use either of the two depending on the occasion and the requirement of the photo. 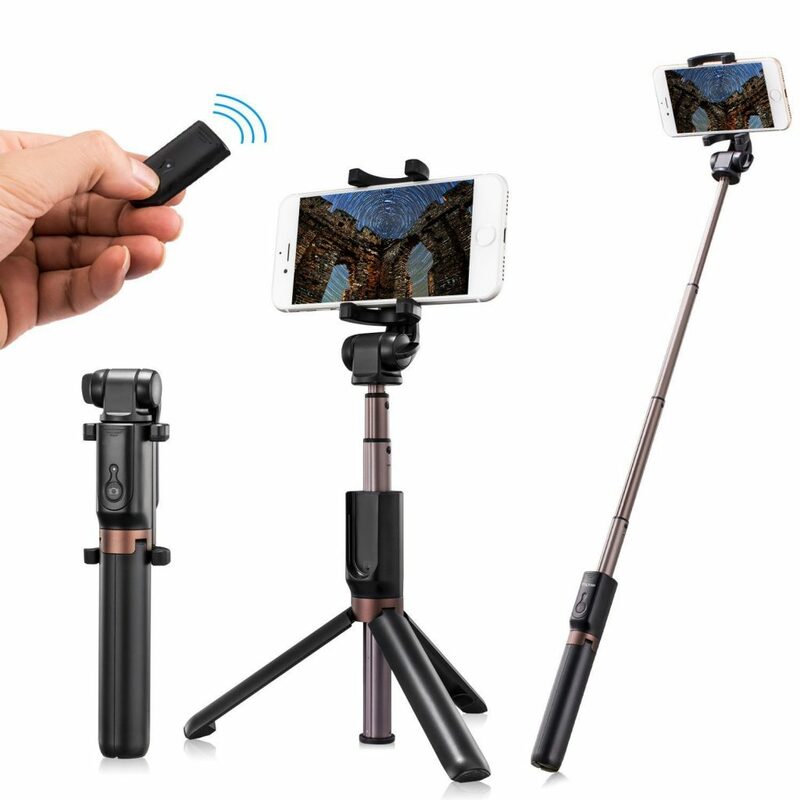 The camera can be controlled from a long distance, the detachable remote shutter that comes along with it lets you click photos from a distance of 30 ft. Seniore Selfie Stick is compatible with other Android devices and GoPro cameras too apart from iPhone X. 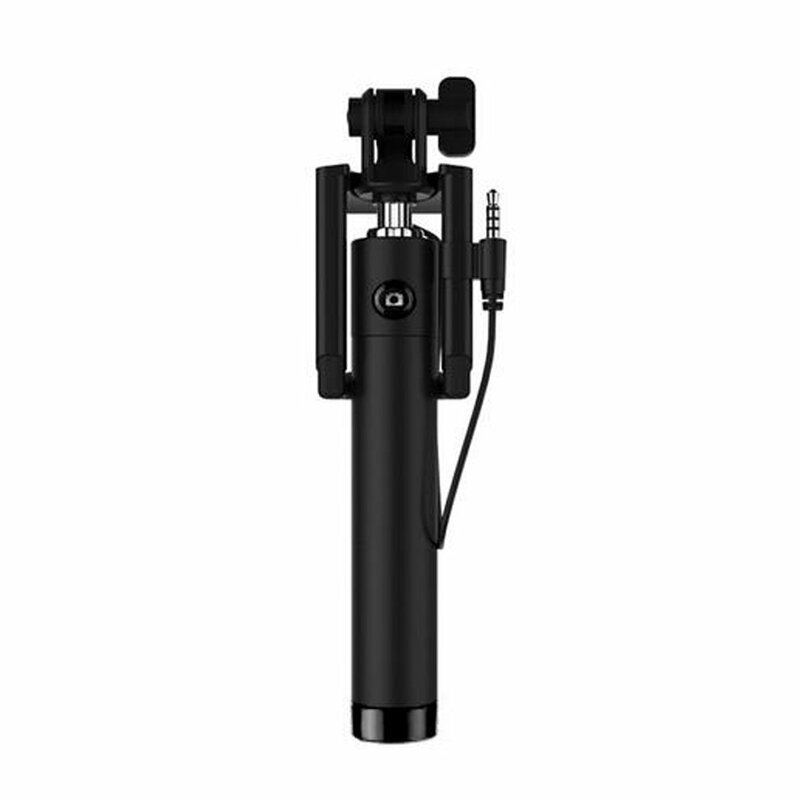 This selfie stick also comes with a tripod variant where you can switch between the two functionalities depending on your requirements and occasions. The extendibility of this selfie stick is remarkable. The stick can go from 9.7 inches to 41.2 inches when it is fully extended. 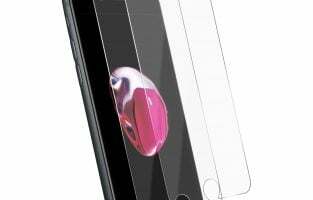 It is compatible with iPhone X, iPhone 8 and also iPhone 8 Plus. A very light and compact stick, it also comes with removable Bluetooth remote control which has a long-lasting battery life. 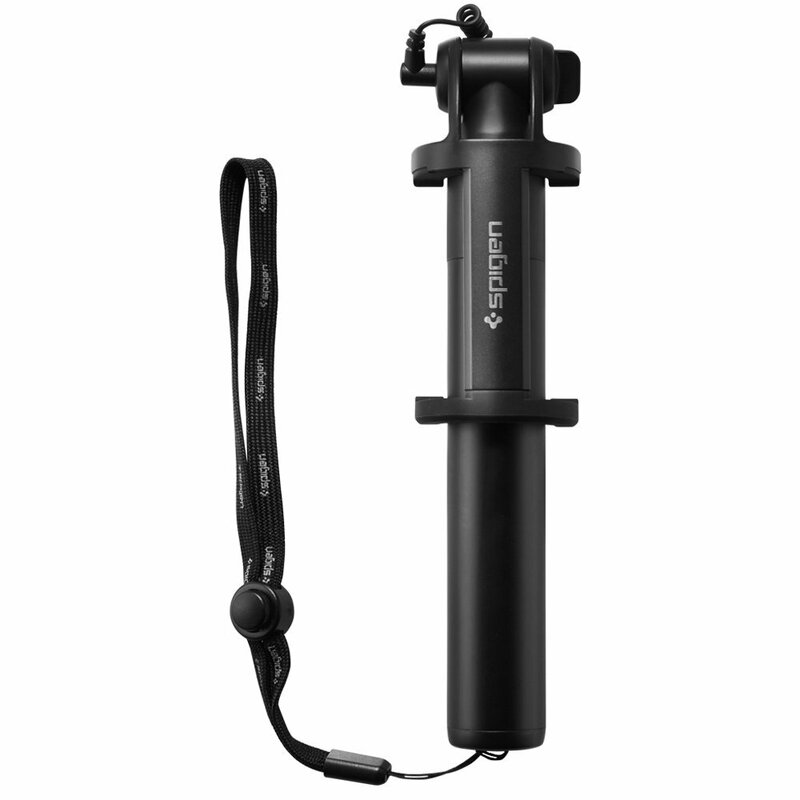 Apart from a detachable tripod, the kit also includes a mirror and a wrist strap. 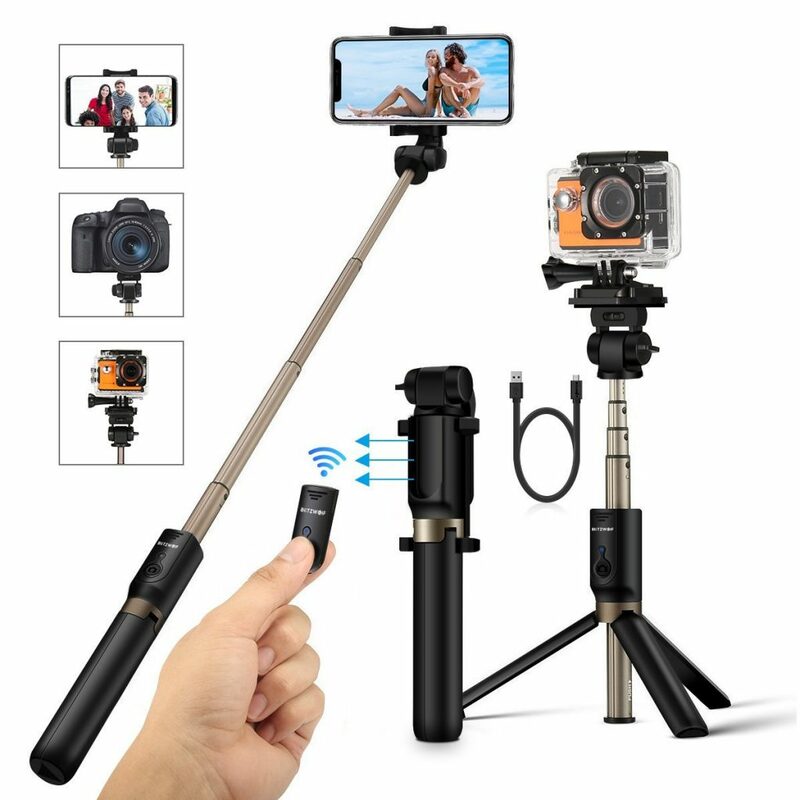 The most budget-friendly selfie-stick and monopod in the market, this one boasts of incredible features and quality apart from its affordable cost. There is no wireless Bluetooth connection in this selfie stick. It comes with a connector which goes into the jack and lets you plug and shoot. The stick is extendable to up to 31.5 inches. It has an adjustable 270-degree rotation which you can use to take photos from different angles. The aluminum stick is durable, made of premium materials and going through the anodic process, the stick boasts of high durability. The phone clamp and the silicone pad attached to the stand fit your phone securely. It has a 360-degree rotation so that you can get photos from all angles. The stick is portable and has a length of just 6.22 inches which can fit anywhere in your luggage. 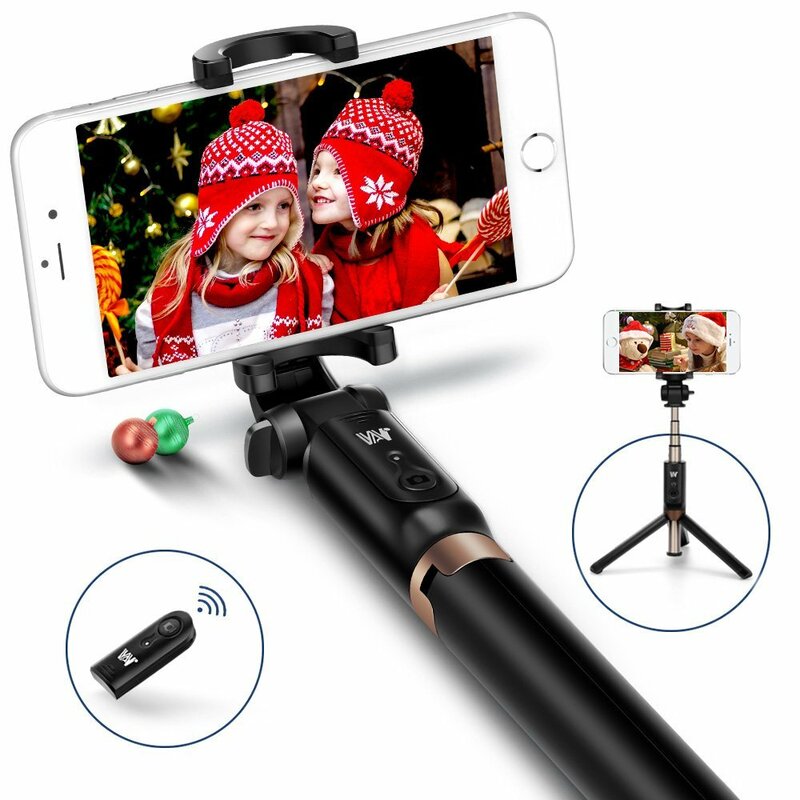 It has a built-in wireless remote controller that has a range of 10 m.
This selfie stick has a built-in monopod which makes the device versatile in its use. It has an adjustable rotating head which gives a rotation of 270 degrees. This way you can take photos in landscape mode and also in the self-portrait mode. Kizen gives a warranty of 18 months with 100% money return if you are not satisfied with the product.